The hearing of the case R.Sakkrapani v Secretary, Tamil Nadu Legislative Assembly and others before the three-Judge bench of Justices A.K.Sikri, Ashok Bhushan and S.Abdul Nazeer, brought out hilarious moments when senior counsel Mukul Rohatgi was harping on the ramifications of the argument that the judiciary can direct the Speaker to decide disqualification petitions within a time frame and that if the Speaker is seen to abdicate his responsibility under the Tenth Schedule, the judiciary can step in and decide the pending disqualification petitions itself. 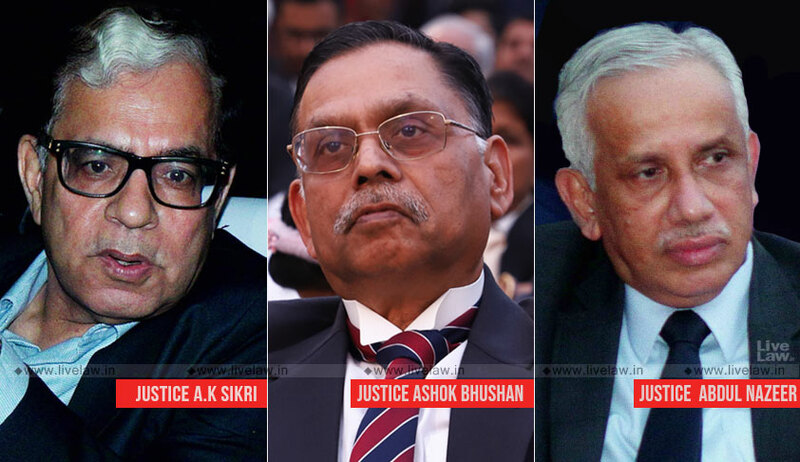 Justice Sikri, dwelling on the doctrine of separation of powers among the executive, legislature and the judiciary, recalled an argument heard during an academic seminar on the subject. One of the participants, he said, asked if judicial activism is justified on the ground that the executive is not deciding things in time, can the huge pendency of cases in the courts force a legislature or an executive to step in and take over the functions of the judiciary. According to Rohatgi, the Speaker of the Tamil Nadu assembly has been unable to decide the petition seeking disqualification of 11 MLAs since March 2017 because the matter has been pending before some court or the other raising serious issue of propriety, if he decided it in the mean time. When Justice Sikri drew his attention to the question why the Speaker acted in haste in the case of disqualification of 18 MLAs belonging to the T.T.V. Dinakaran faction of the AIADMK, Rohatgi responded saying that this argument has been rejected in the judgment of the Madras high court, which ruled in favour of the Speaker, and that it is being resurrected here by the other side. “If you have no prayer, there is nothing to decide”, he concluded.